So my first Riptide is done. I'm very happy with the colour scheme, and will be quickly rolling this out across the rest of the force as it grows. The whole model has been washed with a black oil paint wash, which is much less 'aggressive' than using the GW washes. You get a much more subtle effect. I'll also be using this technique on the next batch of Fire Warriors as well. 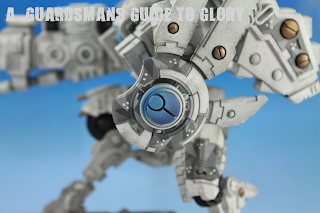 The sharp eyed among you will have noticed the lack of secondary weapons and support systems. Being a new Tau player I'm not really sure what to choose yet so I've left them off for now. 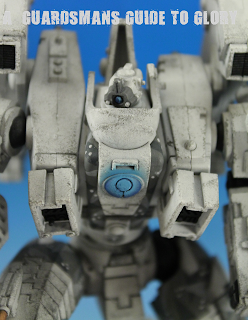 The Shielded Missile Drones are built but not painted yet - they've joined the Drone painting assembly line! I airbrushed a lighter blue onto the sphere at the top of the iconography - I wanted these to look as though they were some form of power source built into the aesthetic design of the suit. 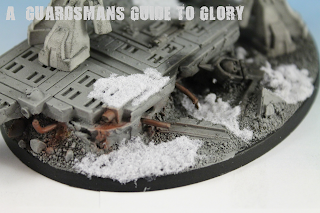 The base was painted to fit in with the Urban-Snow theme of the army. 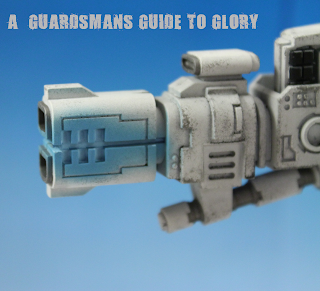 I didn't go to mad on the colours here, as I thought it would clash to much with the white of the Riptide. 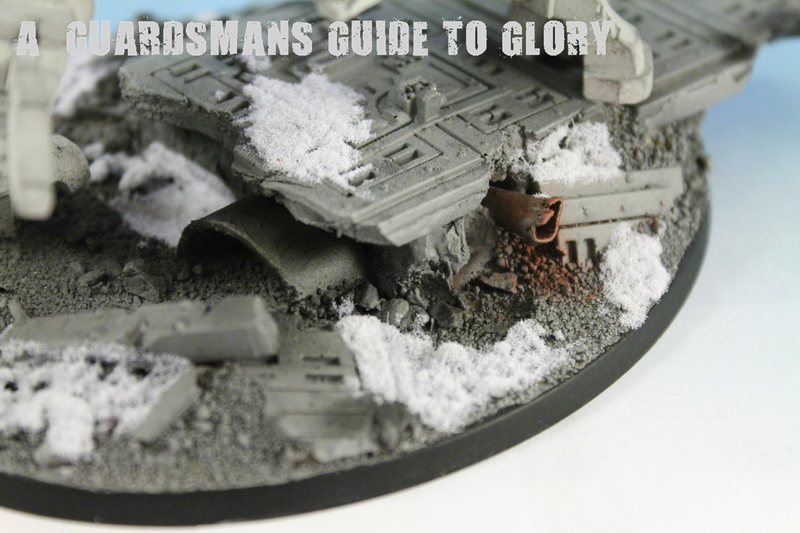 A small amount of rust and scorch marks were added using weathering powders. Now the Riptide is complete I'll be focusing my attention on The Hall of Heroes! More on that next post. I really like how you painted this model man. The subtle touches of colour on the base and the limited camo applied really make the model pop which would normally be hard to do using white. Looking forward to seeing the rest of your army develop. Cheers dude! 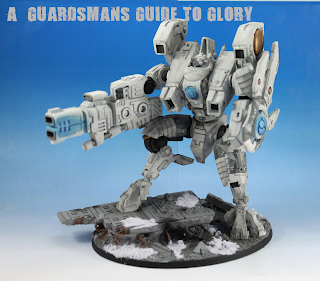 Will be off to buy some Battle Suits and Pathfinders to go with it today!